John O’Loghlen joined Alibaba Group as Director of Business Development for Australia and New Zealand in March 2016. 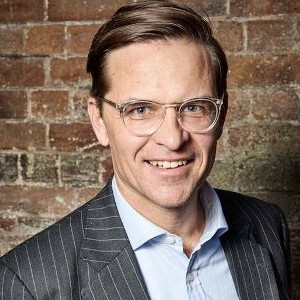 In this role, John focuses on serving clients across all of the Alibaba Group’s business units, with a particular focus on assisting Australia and New Zealand brands and businesses connect with the Chinese consumer. John brings to Alibaba strong cross-border trading experience and knowledge to support the company’s developments in Australia and New Zealand. Before relocating to Sydney in 2014, John co-founded a leading gourmet pizza chain in Beijing which is a strategic commercial partner in China for Fonterra. Prior to Gung Ho! Pizza, John led Domino’s Pizza International’s Asian business from 2006 to 2009 based in China. John also spent five years investment banking at Goldman Sachs working in London, New York and Beijing and has served as a New Zealand Trade & Enterprise (NZTE) government appointed advisor to leading New Zealand corporations in China. He holds a BA from Harvard University and an MPhil from Cambridge University. He studied Chinese at Tsinghua and BLCU in Beijing, and is proficient in Mandarin.